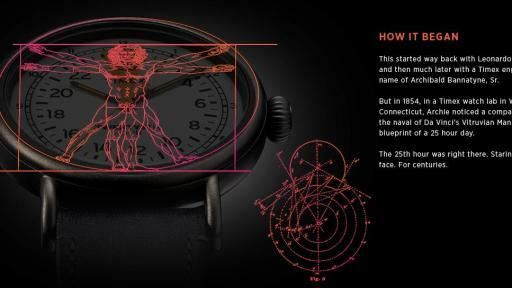 Middlebury, CONN: April 1, 2019 – Today, Timex, a global leader in watchmaking for 165 years, has done the impossible in its 25th Hour watch – it created an extra hour of time that offers everyone those coveted extra minutes in the day to live out their dreams. 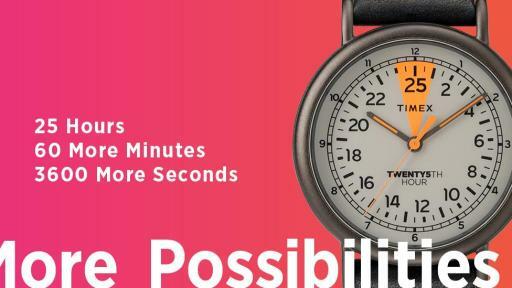 As if reinventing time wasn’t enough, in true fashion, Timex has introduced a watch that helps people keep track of our new 25-hour days, available in limited quantities for $79 on Timex.com/25thHour. Just what would Americans do with an extra hour? Generationally, the answers from Boomers and Millennials were surprising in that neither defaulted to wanting more sleep. Millennials, for example said they would exercise (23 percent), whereas 24 percent of Boomers said they would spend time with family and friends. A surprising subset said they’d use an extra hour for sleep: non-parents (26 percent), whereas parents said they’d exercise more (25 percent). Timex is thrilled to bring an extra hour of sleep, quality time or physical fitness to Americans everywhere with its new, logic-defying watch. 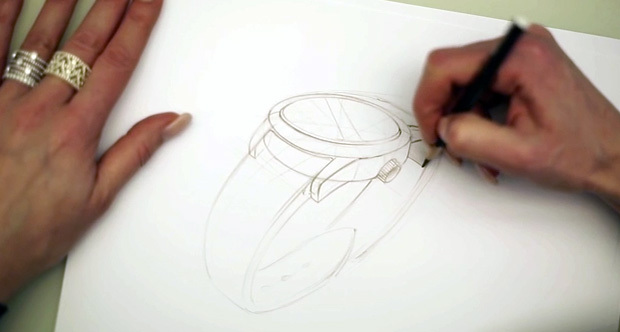 In a recently-released video that explains how Timex accomplished this feat, consumers will see that the answer has been staring them in the face all along – in sketches they’ve seen in history books and in famous paintings that have nothing to do with time. Right there – in plain sight. 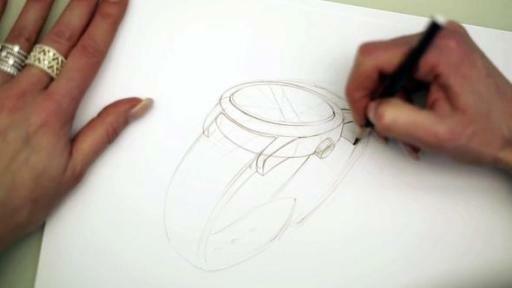 Timex’s invention, brought to life in the 25th Hour watches, changes everything – and nothing – all at the same time. It lets people imagine the possibilities of having extra time. 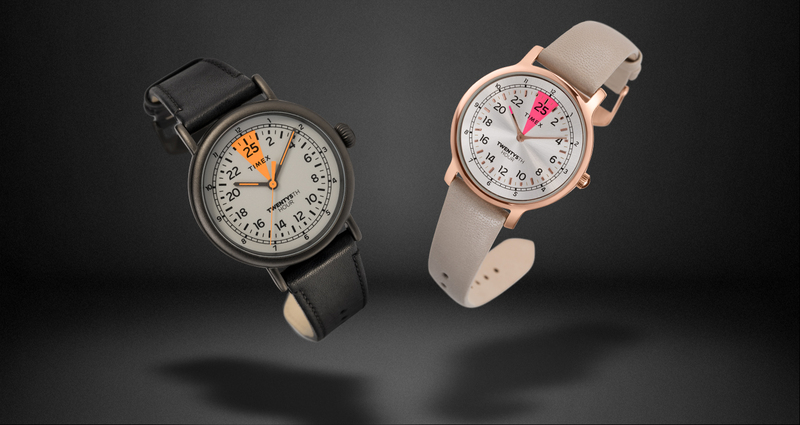 Those seeking the elusive 25th Hour will be pleased to see it’s available in a 40mm gunmetal-tone case with gray dial and quick-release black leather strap for men, as well as a 34mm rose gold-tone case with silver-tone dial and bone-colored leather strap for women. If it feels like time is running out, even though there’s more of it, that’s because it is. These watches are available in small quantities to U.S. consumers on Timex.com/25thHour. If they sell out, there’s no telling when they might be back.